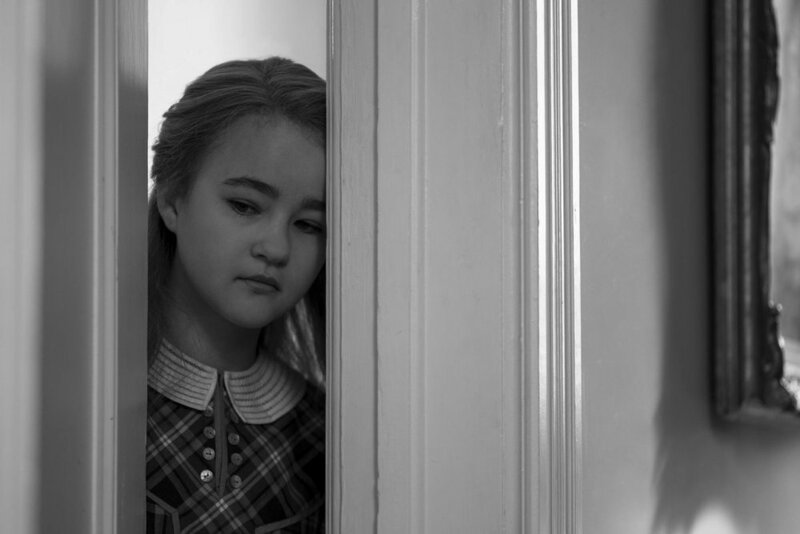 Written and adapted by Brian Selznick, Wonderstruck utilizes a diptych structure for much of its runtime. The first narrative takes place during the 1970s in rural Minnesota where we follow a young boy named Ben (Oakes Fegley). The details of his traumatic childhood are filled out as broadly: he’s overcome with grief after losing his mother (briefly played by Michelle Williams) while developing a mounting curiosity about his absent father. A series of events leads Ben to lose his hearing, but it only serves to magnify his interests in finding his dad, as he proceeds to NYC, alone, to uncover his great mystery of self. The second narrative is set in 1927 New Jersey and involves Rose (Millicent Simmonds), a deaf girl with a cruel father and absent mother. Mirroring Ben’s narrative, she yearns for escape, mesmerized by the images of silent cinema and its star Lillian Mayhew (Julianne Moore). With the closure of her local cinema to make room for sound technology, Rose opts to find Mayhew and travels to NYC to meet this surrogate mother figure. There’s a learning curve to Wonderstruck’s editing pattern that frequently kept me at arms length. Editor Affonso Gonçalves has worked on some of my favorite films of the past few years, including Jim Jarmusch’s Paterson and Haynes’ last film, Carol, but here he affects a deliberately abrasive framework that can sometimes come across as muddled. The two narratives are clearly distinguished on a visual level, where Rose’s journey is shot in lush black and white while Ben’s narrative affects a vibrant and colorful 70s texture – the warmth of Saul Leiter’s still photography remains a key influence in Edward Lachman’s cinematography. But it’s the manner in which Gonçalves intertwines the two that can be difficult to reconcile. Some moments sing beautifully, as a scene involving Ben and Rose coming to the same museum sculpture is intercut with the sort of rapt acknowledgement of the passage of time that the film strives for. But, unfortunately, Gonçalves’ sensibility tends to lend itself to more arbitrary and frequently abrupt cuts that can be frustrating. The most striking quality about Wonderstruck is in how uncompromising Haynes’ sensibility is when matched with Selznick’s source material. It’s not quite like Hugo, the Scorsese-Selznick collaboration, where one sensed that Scorsese made concessions to his worldview in favor of Selznick’s temperament. Rather, Haynes’ autonomy over Wonderstruck is palpably felt even if the subject matter would, initially, seem out of his wheelhouse. Everything from the tactile loneliness of wandering a big city in Carol, to one’s inability to articulate their despair in Safe, to even the formal qualities of Superstar: The Karen Carpenter Story serve as vital components to Wonderstruck’s diptych design. It may not be his most elegant film, but it beats heavy on the drums of all the anxieties and preoccupations that Haynes is synonymous for.